There are a number of different interpretations for "easternmost" and "westernmost"; see below for full treatment. Extreme points in all of U.S. territory: Point Barrow, Rose Atoll, Wake Island, Peaked Island (red); Point Udall, Udall Point (green). The International Date Line is shown in yellow. Note that maps of the 48 states that are displayed in an equal-area projection (i.e. curved lines of latitude) can give the impression that the state of Maine extends further north than it actually does. The northernmost point in Maine is at approximately 47.46 degrees North latitude. This line of latitude passes through the southern suburbs of Seattle. From there, it is approximately 100 miles (160 km) north to the 49th parallel. A wide swath of land within the 48 states (encompassing portions of Washington, Idaho, Montana, North Dakota, and Minnesota) is therefore further north than any place in Maine. Included in this area are such places as Spokane, Washington, Coeur d'Alene, Idaho, Great Falls, Montana, Minot and Grand Forks, North Dakota, and Bemidji, Minnesota. Even Isle Royale and parts of the Upper Peninsula of Michigan (such as the Keweenaw Peninsula) are further north than anywhere in Maine. Hawai'i has the southernmost geographic center of all the states. Florida has the southernmost geographic center of the 48 contiguous states. Note that maps of the 48 states that are displayed in an equal-area projection can give the impression that the state of Texas extends farther south than it actually does. The southernmost point in Texas (just southeast of Brownsville) is at approximately 25.84 degrees North latitude. This line of latitude passes through Hialeah, Florida, which is slightly north of Miami. Maine has the easternmost geographic center of the fifty states. Note that maps of the 48 states that are displayed in an equal-area projection can give the impression that the state of Florida extends further east than it actually does. The easternmost point in Florida (Palm Beach Shores) is at approximately 80.03 degrees West longitude. This line of longitude passes through (or near) such places as Charleston, South Carolina, High Point, North Carolina, Salem, Virginia, Morgantown, West Virginia, and Pittsburgh and Erie, Pennsylvania – further west than all of New York, New Jersey, and all of the New England states. Hawai'i has the westernmost geographic center of all the states. Oregon has the westernmost geographic center of the 48 contiguous states. Note that maps of the 48 states that are displayed in an equal-area projection can give the impression that the state of California extends further west than it actually does. The westernmost point in California (Cape Mendocino) is approximately seven miles east of the westernmost point in Oregon (Cape Blanco), and approximately 14 miles (23 km) east of the westernmost point in Washington (Cape Alava). Closest to the equator: Baker Island is located at 0°11′41″N 176°28′46″W﻿ / ﻿0.19472°N 176.47944°W﻿ / 0.19472; -176.47944﻿ (Baker Island). One method is to use the Prime Meridian as the dividing line between east and west. This meridian running through Greenwich, London, is defined as 0 degrees longitude and could be called the least eastern and least western place in the world. The 180th meridian, on the opposite side of the globe, is therefore the easternmost and westernmost place in the world. Still another method is to first determine the geographic center of the country and from there measure the shortest distance to every other point. All U.S. territory is spread across less than 180° of longitude, so from any spot in the U.S. it is more direct to reach Point Udall, U.S. Virgin Islands, by traveling east than by traveling west. Likewise, there is not a single point in U.S. territory from which heading east is a shorter route to Orote Point, Guam, than heading west would be, even accounting for circumpolar routes. ^ "Colorado". MSN Encarta. Archived from the original on 2009-10-31. http://www.webcitation.org/5kwc211LH. Retrieved 2009-09-09. ^ Rippold, R Scott (2007). "High on Alma". The Gazette (Colorado Springs). http://findarticles.com/p/articles/mi_qn4191/is_20070108/ai_n17129574/pg_1. Retrieved 2007-08-05. ^ "Baker Island". Geographic Names Information System. U.S. Geological Survey. 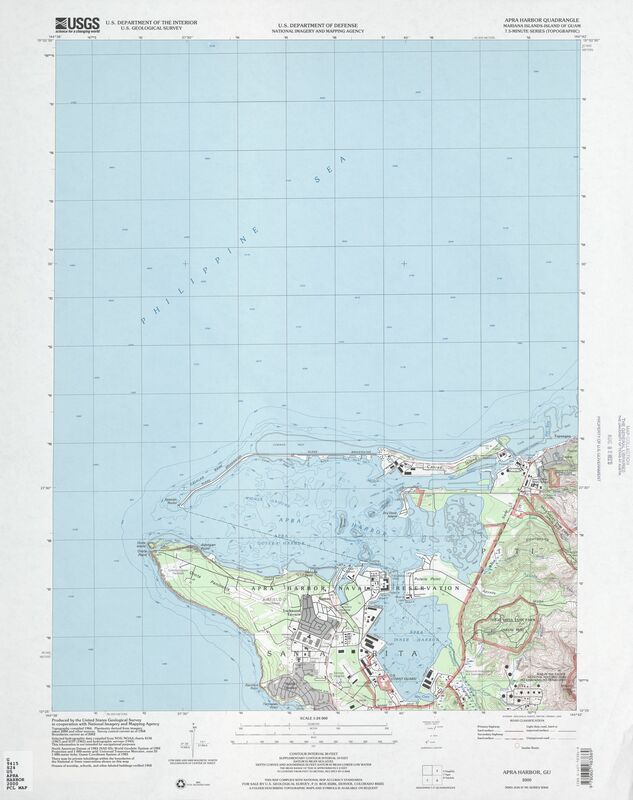 http://geonames.usgs.gov/pls/gnispublic/f?p=gnispq:3:::NO::P3_FID:1392997. Retrieved 2009-02-24. ^ "State University Encyclopedia: Equator". State University Encyclopedia. http://encycAAlopedia.stateunAAiversity.com/pages/6935/Equator.html. Retrieved 2009-07-03. ^ "CIA World Factbook: Jarvis Island". CIA World Factbook. http://www.umsl.edu/services/govdocs/wofact2003/geos/dq.html#Geo. Retrieved 2009-07-03.